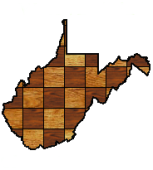 The 2016 edition of the WV Senior Championship was held December 17-18, 2016. 18 players competed from 4 states at the Comfort Suites in Bridgeport. The event was combined into one section, which was won by Peter Snow of Virginia and Sam Timmons of Saint Albans. The senior title went to John Roush, who was 1/2 point back from Snow and Timmons. This entry was posted in Results on December 23, 2016 by wvchess.